How to work with your website SEO? 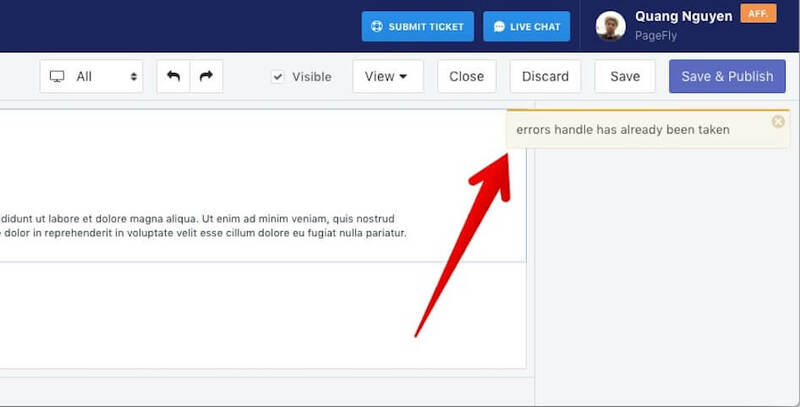 In this article, you’ll learn how to edit the Page URL, Meta description and Page title accompanied by ways to alleviate some problems while working with SEO. 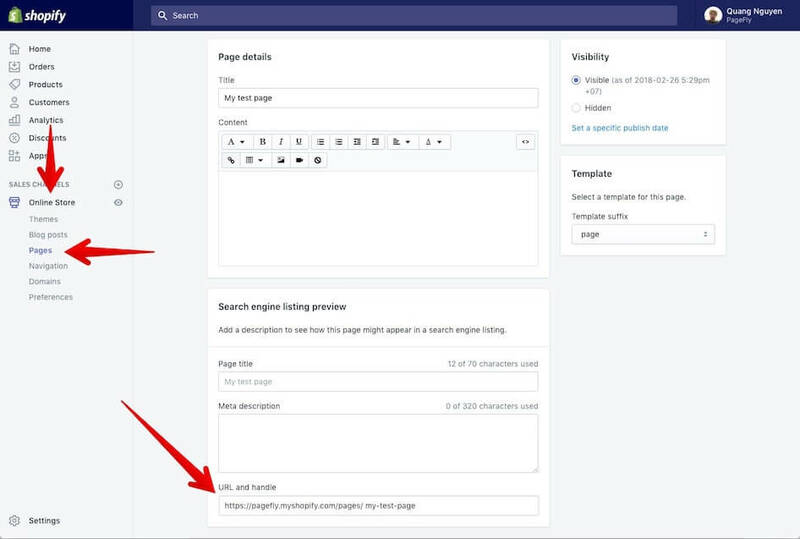 Go to your PageFly Dashboard > open a page in the Editor > navigate to the Menu bar > choose Page Settings > switch to Website SEO tab. SEO Title: the page title that’s used for Google and other search engines. Recommended length less than 70 characters. Meta description: the text description used for the search engines. The recommended length is between 50 – 300 characters. URL and handle: the page URL of your landing page. Important: Please keep in mind that the URL and Handle options only appear after the page is saved. On Google or other search engines, they look like this. Sometimes, you cannot save a page and receive an error notification like below. It is because you have used the URL handle of that page to another page in the past. To resolve this, follow 2 steps below. First, go to Shopify home > Online Store > Pages > Choose the page with the same URL handle that you want to use for your new page > Edit Website SEO. Here, you must rename the URL handle to an unique name. Edit the page URL and handle. Then, click on Save button. After completing the first step, in PageFly Editor, hit Save & Publish button to apply your URL handle for the newly created page. The page you create with PageFly is synced automatically to Shopify page settings after you click on Save & Publish button. 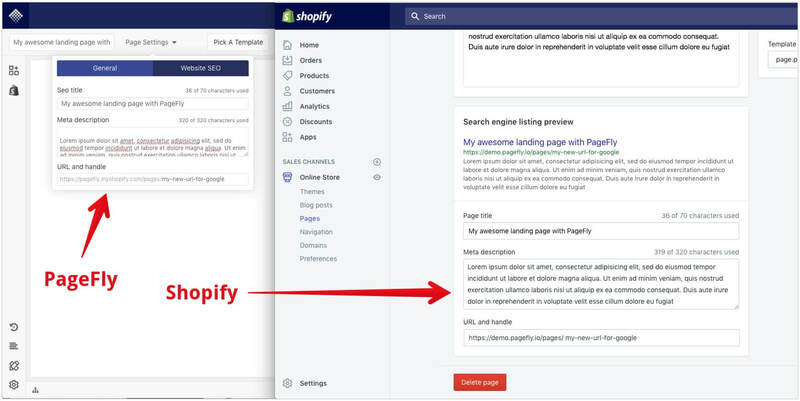 However, it’s important to note that the data synchronization takes place only from PageFly page to Shopify page settings, not the other way. In other words, if you edit the page SEO in Shopify page settings and click Save, the data won’t be synced back to the page in PageFly app.